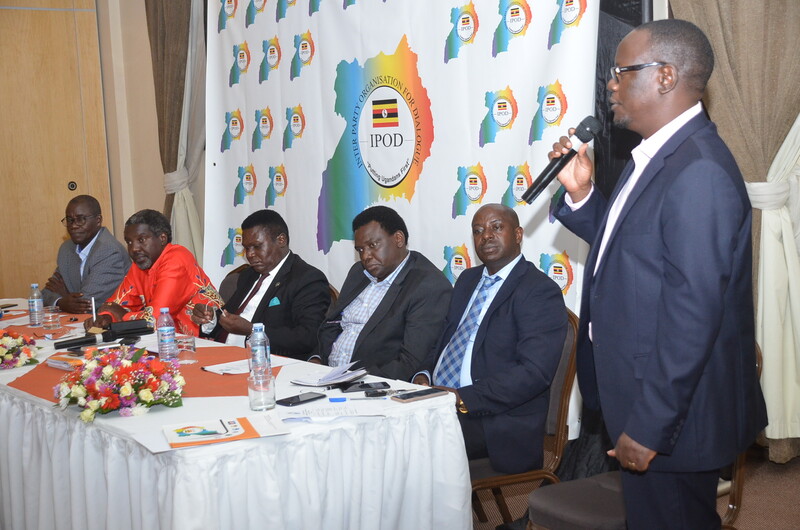 On the 25th October 2018, the Inter-party Organization for Dialogue (IPOD) welcomed the Justice Forum (JEEMA) to its dialogue platform, joining four of Uganda’s main political parties in the now well-established IPOD forum. After losing its IPOD membership due to an election defeat in 2016, JEEMA was invited to return to the forum following the successful election of Hon. Asuman Basalirwa, MP for Bugiri Municipality. The invitation was extended as IPOD’s membership seeks to represent all parties operating within Uganda’s legislature. Speaking at a press conference at the Protea Hotel in Kololo, NIMD Country Representative and IPOD Executive Secretary, Mr. Frank N. Rusa said that new additions like JEEMA have the capacity to not only strengthen IPOD but also contribute to the rich discourse of diverse opinion in order to foster the much needed consensus on pertinent national issues. “Since the IPOD platform is a safe space to promote important and honest discussions between political parties at the highest levels, a new political party like JEEMA coming in with a unique perspective on national issues is a much welcome addition to this platform” Rusa said. Delegates from across the political spectrum see IPOD as a valuable opportunity for reconciliation and collaboration. Now in its eighth year of operation, IPOD is scaling up its efforts in supporting a vibrant multiparty democracy in Uganda. Alongside JEEMA, its membership comprises the Democratic Party (DP), the Forum for Democratic Change (FDC), the Uganda People’s Congress (UPC) and the ruling National Resistance Movement (NRM). 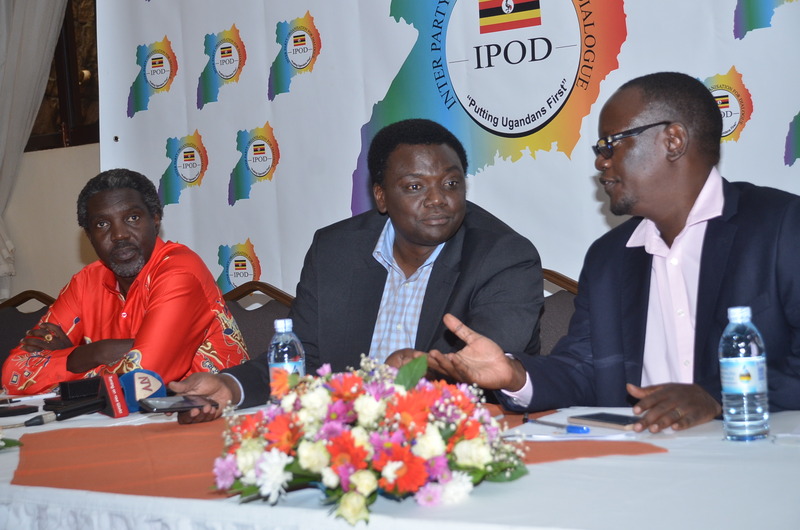 Participant parties have reviewed IPOD’s performance in 2018 and the organization has plans in place for parties to engage in dialogue with the Uganda Electoral Commission (IC) ahead of elections in 2021. IPOD has also been mandated by the Prime Minister’s office to assist in coordination of the National Dialogue Initiative, aimed at securing consensus on electoral reforms between Uganda’s parties. 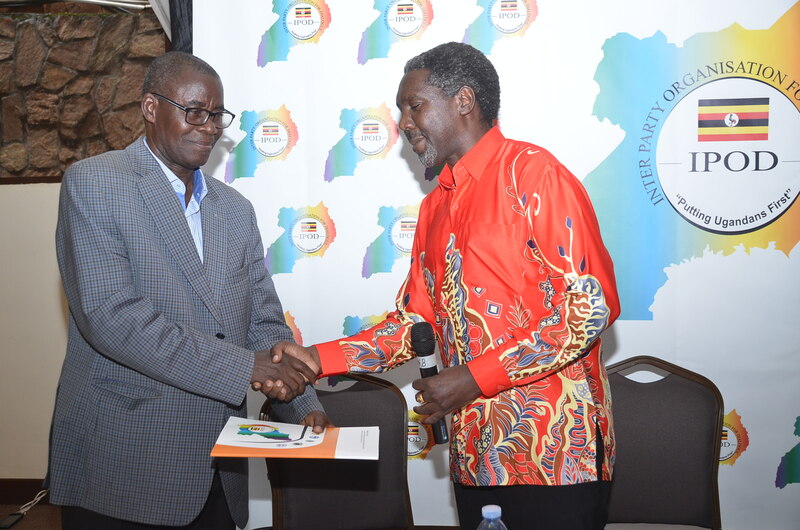 Fellow parties within IPOD echoed Rusa’s sentiments, including Uganda People’s Congress (UPC) President Jimmy Akena, who added “I am happy to see JEEMA join us once more. JEEMA never left and we have always considered them as part of us. We are all fighting for the same thing: a democratized citizenry, and this can only be achieved through proper dialogue among all parties concerned. Therefore, I call upon all MPs to advocate for dialogue, irrespective of which party you belong to”. IPOD Executive Secretary, Frank Rusa addresses delegates in Kampala. The dialogue platform founded and facilitated by NIMD in Uganda has played a significant role in structuring multiparty dialogue in the country, despite a challenging political environment. Participating parties are continuously enhancing their internal decision-making structures in order to bring coherent party positions to the forum. IPOD’s central principle of operating on a consensus-based system is translating into more collaborative behaviour between the parties, indicating a wider political shift towards a democratically-minded political culture. The IPOD participants pose for a shot after JEEMA is reinstated. For more information on NIMD’s work in Uganda, visit the programme page or contact us.